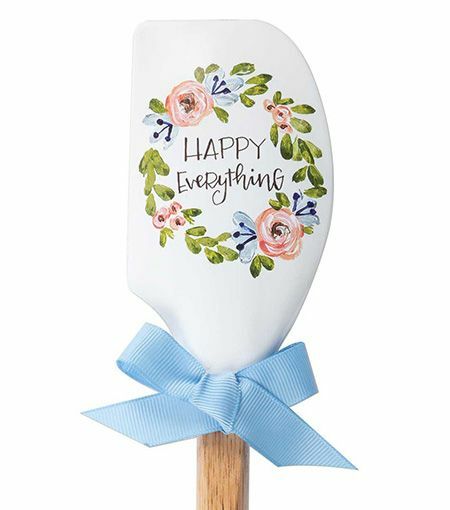 This beautiful "Happy Everything" vintage-style silicone kitchen spatula from Brownlow features a sweet sentiment and floral wreath and flower design. The back of the spatula has a handy printed measurement table. The handle is made of wood. Each silicone spatula is heat resistant up to 500 degrees, and dishwasher safe. 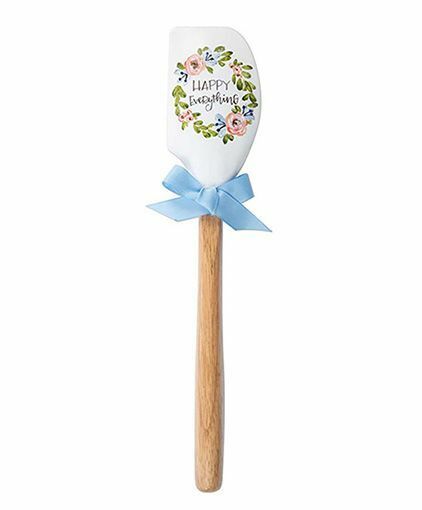 These inspirational spatulas are tied with a matching ribbon which makes them a ready gift for family and friends. They feature artwork by Project Studio.